Is the Pope a fan of TV father Homer Simpson? 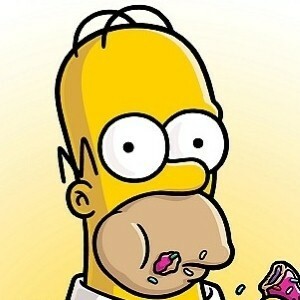 Home » Kids » Is the Pope a fan of TV father Homer Simpson? His parenting skills aren't always the greatest, but it turns out that celebrity cartoon dad Homer Simpson apparently has some fans in high places. The Vatican newspaper, L'Osservatore Romano, wrote that the beer- and doughnut-loving patriarch of the animated series The Simpsons is Catholic. In an article headlined "Homer and Bart are Catholics," the newspaper wrote, "Few people know it, and he does everything to hide it. But it's true: Homer J. Simpson is Catholic." According to Reuters, the article also says that parents shouldn't be afraid of letting their children watch the show. The story cited a 2005 Jesuit study of the show that found it to be "among the few TV programs for kids in which Christian faith, religion and questions about God are recurrent themes." The study found that the program, which is the longest running prime time TV series in the U.S., shows a family that prays before meals and believes in heaven. The show's executive producer, Al Jean, told Entertainment Weekly that he was surprised by the article. "We've pretty clearly shown that Homer is not Catholic," Jean said. "I really don't think he could go without eating meat on Fridays – for even an hour."